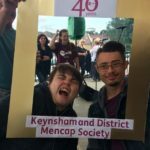 On the afternoon of Saturday 16th June at the Keynsham Rugby Club we had our 40th birthday party. 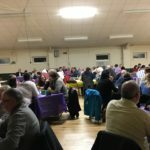 Over 300 people attended and enjoyed the live music from Daz Rocks 4 charity and Weston-Super-Mare band ‘Better than Expected’. 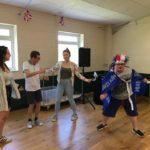 Our very own Music Man Project gave an exclusive live performance, DJ Barry played dance floor favourites to get everyone up dancing. 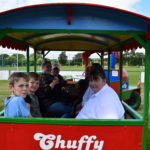 A fun afternoon with Chuffy the Train rides, bouncy castle and face painting all made for a great afternoon in the sun celebrating our 40th birthday. 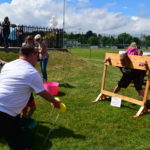 Jason Preston was in the firing line in the stocks a great opportunity to see how his beard is growing and to get a soaking. 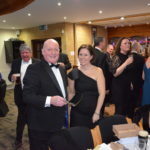 The rugby club were great host and run the bar and BBQ to keep everyone fed and watered, it was a great way for us to celebrate with everyone who had been involved in the society. It was wonderful to see so many members, their families, volunteers old and new, founder members and supporters come together to celebrate this milestone in our Society’s history. 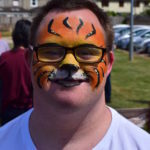 Over 40 years hundreds of children and adults have found friendship, fun and support with us. 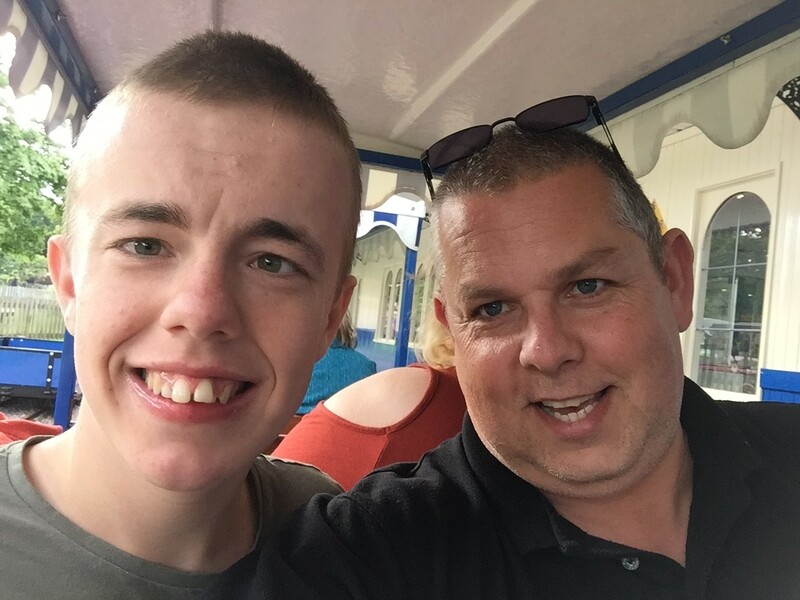 As we move forward towards our 50th, we will aim to develop increased opportunities and initiatives to promote the wellbeing of those with learning difficulties generally. 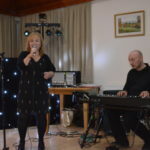 With a feisty performance from our Music Man project after only ten sessions, we demonstrated and took pride in the potential that our members with good support can achieve. So what are you doing on 19th May? 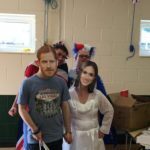 Why not join us in celebrating the marriage of Prince Harry and Meghan Markle and come along to our Royal Wedding inspired family fete. Organised by our very own Student Volunteer Molly Hale and her team of willing volunteers. 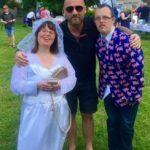 There will be lots of fun stalls, raffle, cakes, refreshments BBQ and a prize for the best Royal Wedding Inspired fancy dress costume. All welcome, you don’t even have to miss the wedding we will be screening it live at the event. 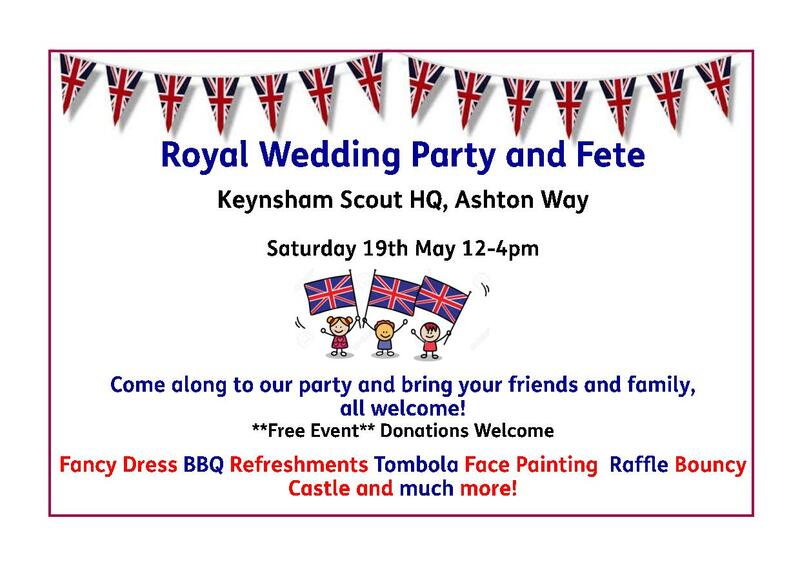 Please come and support Molly, the fete is on from 12pm till 4pm on Saturday 19th May at the Scout Hut, Ashton Way Keynsham. We want to let you know about an exciting opportunity for our fundraisers to win up to £1,000 for us! Whether you’re stretching muscles or bathing in beans, in April people across the country will be raising money for local charities in a bid to be crowned Localgiving’s Local Hero! Local Hero will be launched on 1st April and will run until 30th April. 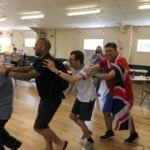 All participants need to do is think up a challenge, set up a fundraising page for us on Localgiving and persuade as many people as possible to donate. Throughout April, fundraisers will be ranked on a leader board according to the number of unique online donors who sponsor their page. 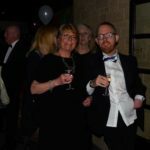 At the end of the campaign, Localgiving will award £5,000 in prizes to the causes supported by the top 20 fundraisers, with a top prize of £1,000 going to the cause of the fundraiser who has secured the most donors. We’d be incredibly grateful if you would consider setting up a fundraising page and becoming our Local Hero! 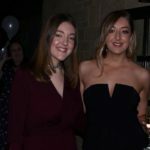 But don’t worry if you haven’t got a challenge booked for April you could support Hannah Gallagher become our Local Hero, Hannah is running the Bristol 10K on 13th May 2018 her fundraising page is https://localgiving.org/fundraising/hannahbristol10k/ Hannah’s cousin Helen Griffiths is a member of our 18+ club. You can find full details about the campaign here. 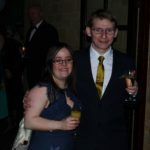 Any money you raise for us will go towards our activities budgets; Just imagine what we could do with an extra £1,000! 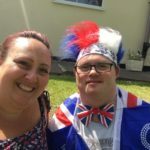 If you think you could be our Local Hero, then please visit our Localgiving page here: https://localgiving.org/charity/keynshammencap and click ‘Fundraise for us’ to get started. Only donations made between the 1st and 30th of April will count towards the campaign, but you can get your page set up and ready to go right away! 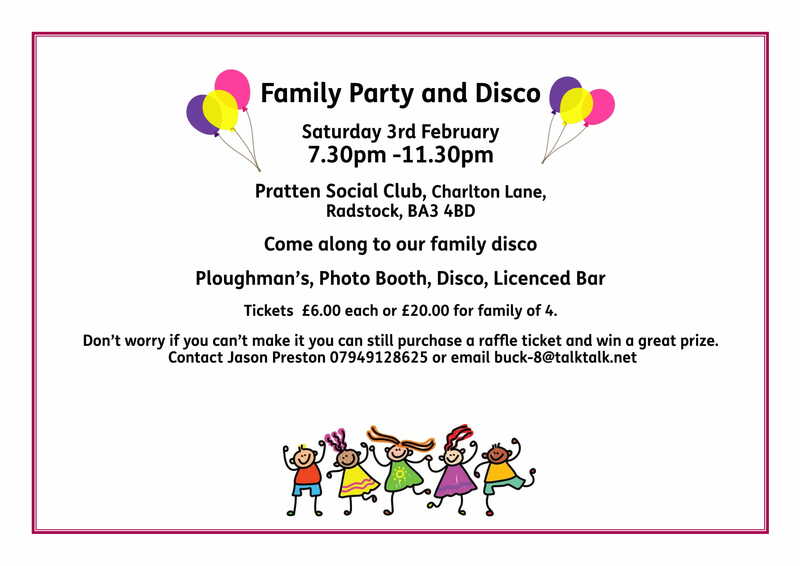 One of our Radstock Junior’s parents Jason Preston is hosting a family disco, on Saturday 3rd February 7.30pm -11.30pm at Pratten Social Club, Charlton Lane, Radstock, BA3 4BD. Please support Jason and buy a ticket, he has arranged to put on a fun filled party for friends and family! All money raised will go towards fun activities for our members. 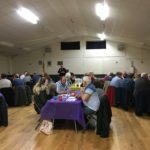 On Saturday 11th November we held our annual quiz, this time it was at the Keynsham Scout HQ. 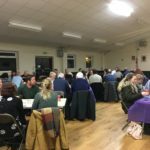 We had over 75 people attend ready to answer a variety of general knowledge questions. 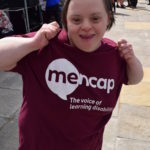 The questions were somewhat challenging this year and when asked one of our ‘quizzers’ from Bath Mencap did say he ‘liked to be challenged’. Someone also mentioned via social media that they attended the hardest quiz in the world! Well here at Keynsham Mencap we like to push boundaries and raise the bar, we do have beacon status after all! 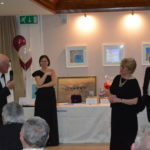 Congratulations to the team called ‘The Hopefuls’ who won the star prize, but then generously donated the items back. Kit Kettel our quiz master host with the most kept the audience engaged and injected some welcome humour into the questions. Just to mix things up a bit we held a mini bingo game right at the end and William Marsh called out the numbers loud and clear. 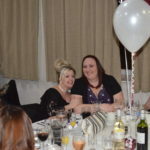 Some great raffle prizes were generously donated by local businesses including Reflections Hair Dressers, Pure Beauty, Sainsbury’s, Simply Carpets, Pomegranate, 73 Degrees, Tesco, Bonzo Lounge and Booker. 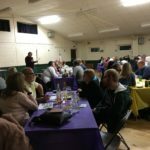 This eclectic mix of prizes plus the bar and door sales helped us to raise over £800. This money will go straight to providing even more social opportunities to local people that are affected by a range of learning disabilities. 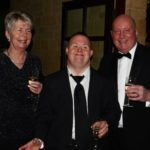 Our events wouldn’t be the success they are without the help enthusiasm and dedication of our staff, members and volunteers. 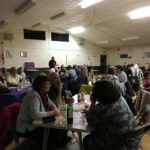 Massive thanks go out to Hazel Thompson, Niall Tomlins, Nicola Hodges, Karen Wells and George Hodges who gave up their time to help prepare the hall, run the bar, clean up the empties and blitz the hall after the fun had ended. 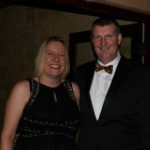 Our members committee are always on hand to help out at our events and ambassadors William Marsh, Barry Hollyman and Suzie Lewis stepped in to help with the additional fundraising activities throughout the evening.